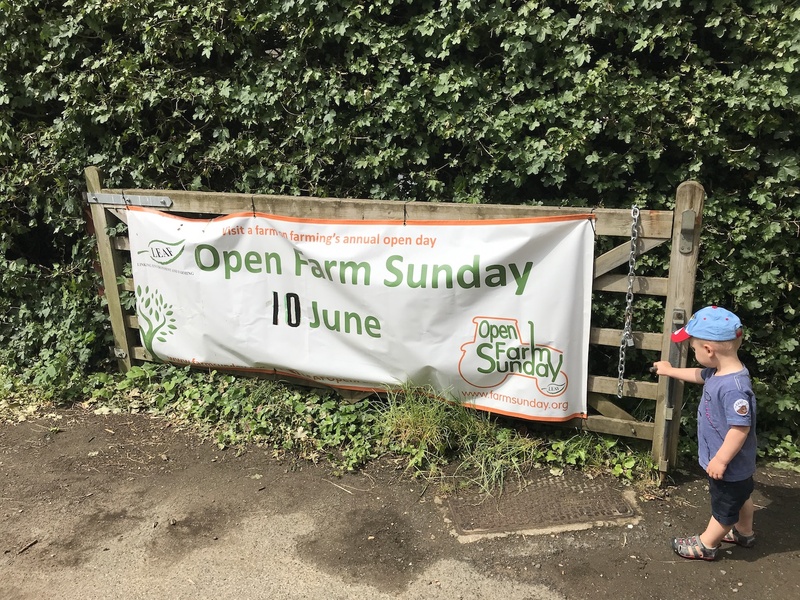 I’d never heard of Open Farm Sunday before last week, but I’ve now learned it’s an awesome annual event that’s been held across the UK since 2006. In those 12 years over 1600 farmers have opened their gates to 2 million people, giving nature lovers young and old the chance to learn all about their local farm and meet the people and animals that make them so special. We searched for our local Open Farm Sunday event at farmsunday.org then drove the few short miles to Monach Farm in Hilton, Cambridgeshire. 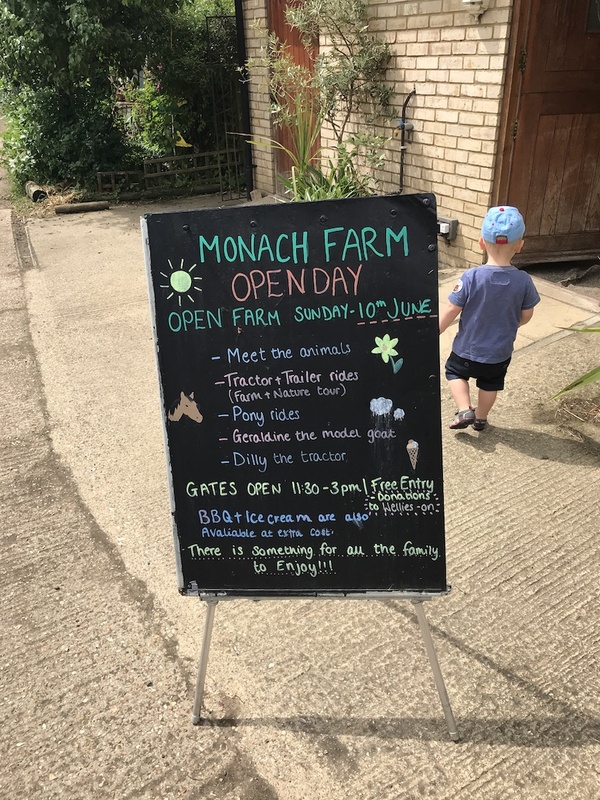 Monach is a traditional livestock farm specialising in rare and unusual breeds of cattle, horses, sheep, pigs and goats – and what a wonderful place it is. Entry to the farm was completely free, and immediately after walking through the gate we had the chance to meet dozens of friendly horses in their stables. Next up were pens full of goats all eager to be stroked, followed by a huge paddock offering horse and pony rides for just £2. 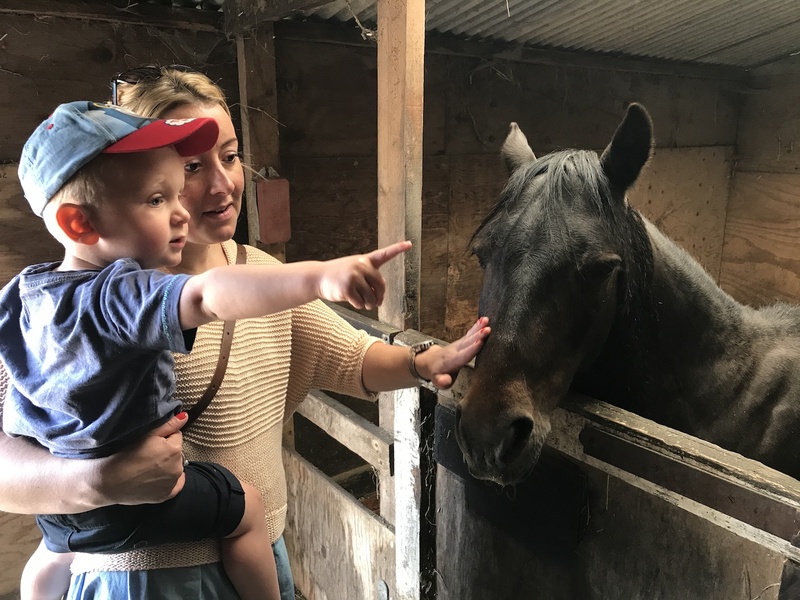 At 2 years old Sonny’s absolutely fascinated by animals and although he’s a bit too young (and crazy) to be riding horses himself, he excitedly watched them trotting around the paddock and commentated on everything he saw. 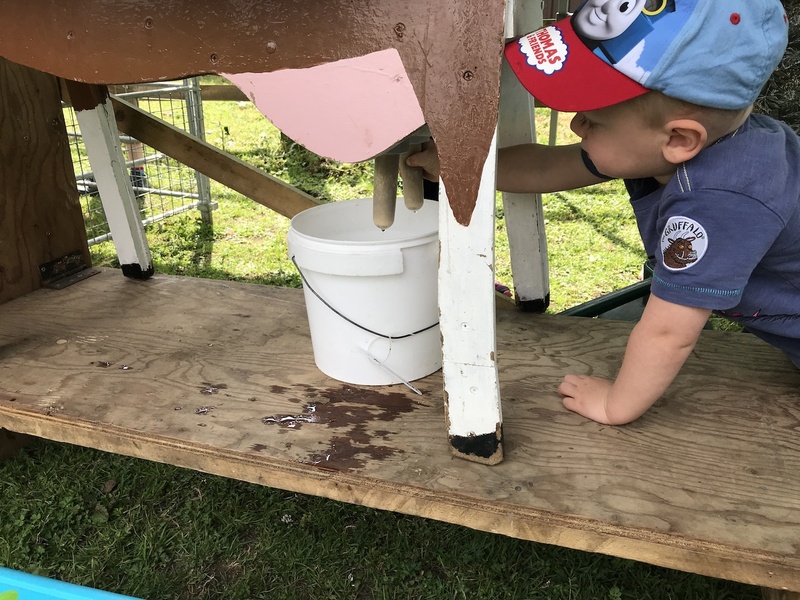 The highlight for me wasn’t just getting to see the inner workings of the farm – although that was pretty cool – it was the amazing effort the farm’s staff had gone to to create such a great family event. There was a BBQ, homemade ice cream, mini petting zoo, inflatable bouncy castle, craft stalls, and loads of other entertainment we didn’t manage to get round in the couple of hours we spent there. For us, the best thing was the tractor ride! 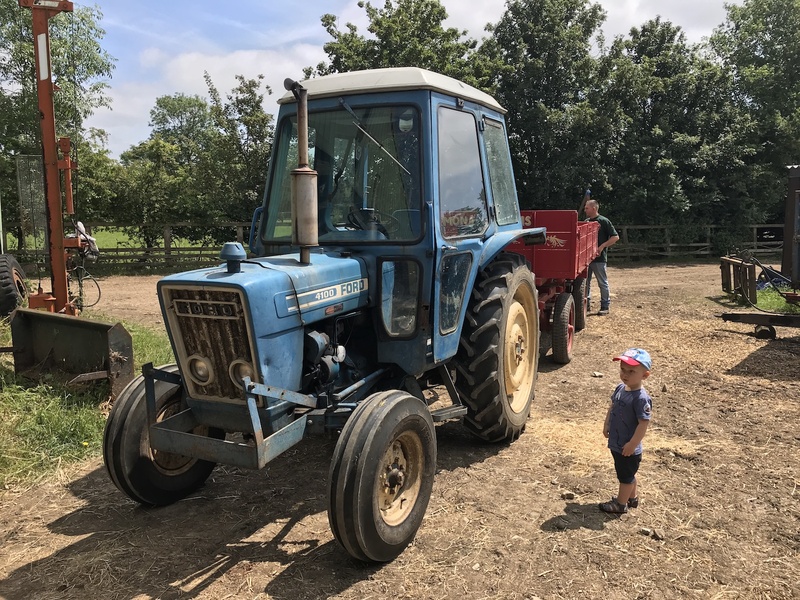 For the bargain price of £2 each we were treated to a ride around the perimeter of the farm in a tractor trailer, where we learned about the history of Monach Farm and were told all about the wonderful rare species that live there. Sonny’s borderline obsessed by tractors so this was the highlight of his day, especially when he was allowed to sit in the driver’s seat once the ride finished. 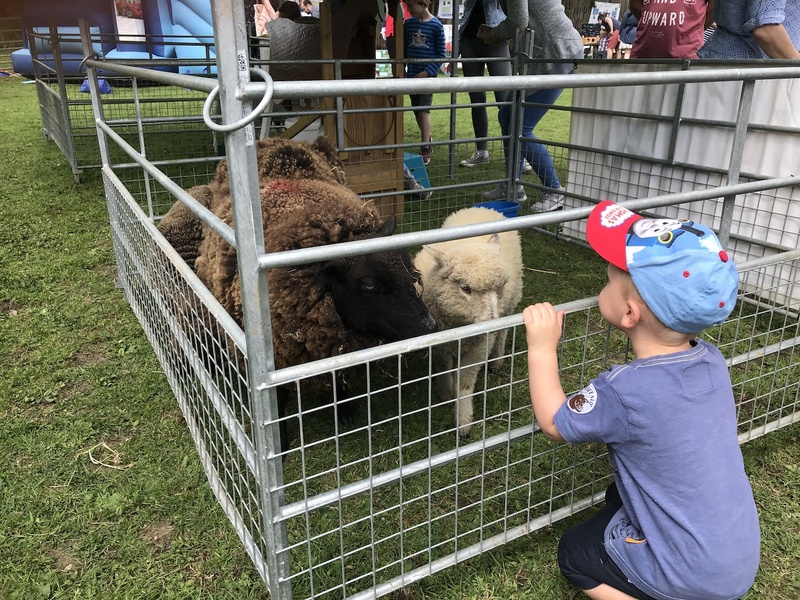 So if you’ve never heard of Open Farm Sunday before, stick June 9th 2019 in your diary and visit farmsunday.org to find your nearest participating farm. The only downside is you’ve got a whole year to wait! Don’t worry – this isn’t a real goat!